Hello Thursday! It’s time to share what I’m thankful for this week. Today, I’m thankful I’ve been given time to rest, and the amazing way our bodies detoxify while we sleep! Did you know the lack of sleep can impair your immune function? 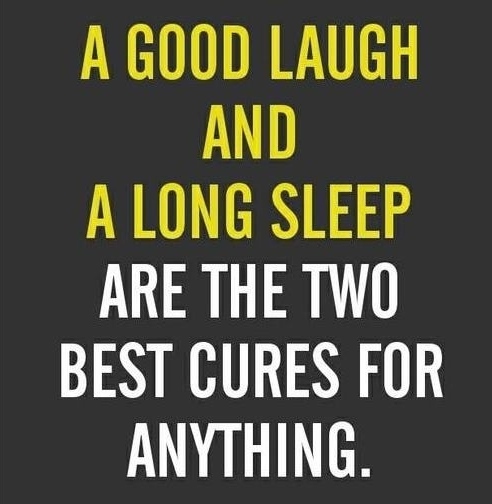 And that studies show our T-cells go down if we are sleep deprived? Or that your body goes through a detox process while you’re sleeping? I am well aware of those things, yet many times I don’t stop to rest when I know I should. I’m a major “do-er” and sometimes that’s not a good thing. Although I get 7-8 hours of sleep each night, lately there’s been some days when my body is telling me to nap; yet I’ve chosen to ignore the signs. Even though I’m still Lyme symptom free, and feeling great; my body is working to remodulate, and accept the stem cells. During my appointment this past Monday with Phil from Infusio, he said the best thing I can do to support the remodulation process is to REST! So……I’m making the conscious effort to be less of a “do-er” and more of a “rest-er.” This is a difficult task for me, but I’m committed to supporting my body while it continues to heal. Thankfully, our cool, rainy weather has been encouraging me to stay inside, wrapped up in a blanket! Here’s some great articles about sleep, our immune systems, and the detox process that occurs while we sleep. What are you thankful for today? I’d love to hear from you! Share with me in the comments. Categories: Thankful Thursdays | Tags: Sleep and Detox, Sleep and Immune System, Thankful Thursday | Permalink. I couldn’t agree more. Rest is so important. That is my struggle still. 😦 I hope you continue to improve and feel well! I’m sure finding time to rest with little ones is difficult. Thanks for your encouragement!